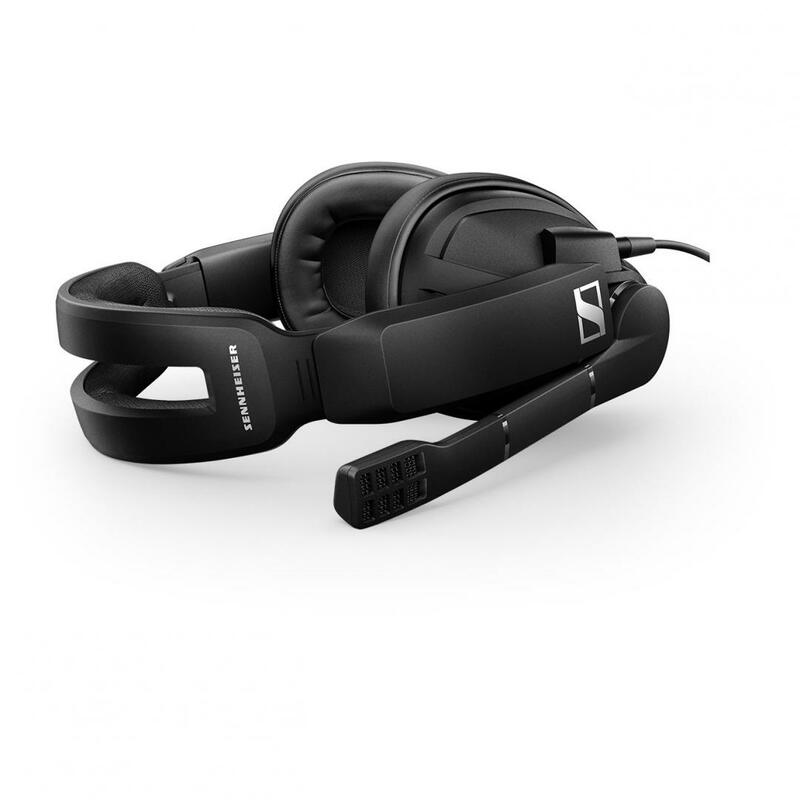 Sennheiser sent over their GSP 300 series gaming headset for us to check out. I’ve been putting it through the paces over the past two weeks to see how it stacks up against the likes of the Steel Series Arctis 5 and Astro A40s. Coming in at around $100 and offered in 4 different colors , the GSP 302 (which is the black color) s compatible with just about any system including PC, Xbox One and PS4 thanks to it’s standard ⅛” mini connectors and adapters. 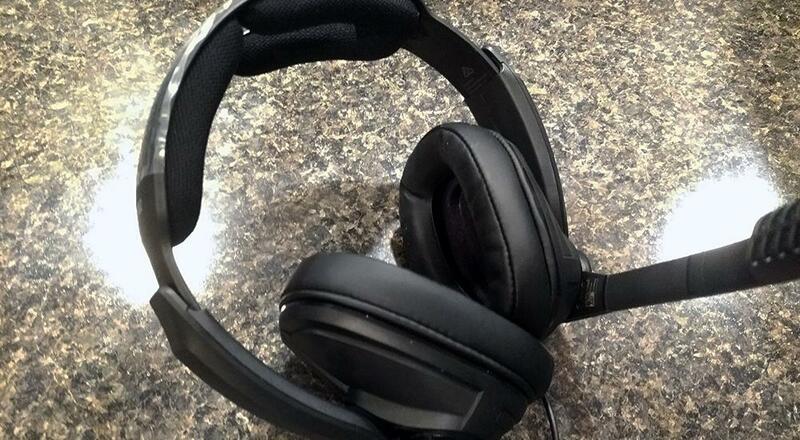 The headsets are an enclosed design, meaning environmental noise is severely muted and the microphone utilizes a noise cancelling technology to offer clear chat. Overall I found the GSP 302’s extremely comfortable, though the ear cups themselves are slightly turned at an 80 degree angle instead of the normal 90 degrees found on most. Thankfully the design of the leather like padding helps them fit just right and they do a great job of blocking out all outside sound. One downside though to an enclosed design headset is that it’s difficult to “hear’ yourself when chatting on the mic, you may want to turn on a feedback loop on your PC so you don’t find yourself yelling into the mic. The construction of the headset itself is solid, with heavy duty plastic adorning every angle. The joints feel stiff and the microphone isn’t flimsy at all. Overall you can tell this is a quality device. Overall I'd put these as slightly less comfortable than the Arctis 5, but slightly more than the Astro A40s. Performance of the headset is going to vary from device to device, because it doesn’t use it’s own built in amp, mixer or soundcard. On my PC I found little background hissing, even at high levels. In terms of audio quality the GSP 302s got close to their claimed 15-26Hz range in my headphone tests, with them bottoming out around 18-20Hz and topping out around 22kHz. Warframe is the hot title right now around Co-Optimus HQ and I used the headsets exctensively with the space ninja title. Sword slices sound crisp and clean, bullets packed a punch, and despite being a stereo headset - I felt positional audio was passable. A few rounds of PUBG were a pleasure as well, with very little extra noise in what’s a quiet game all about sound and determining where it’s coming from. In all my communications with teammates, never once did they complain about not hearing me or my audio quality - so chalk these up to being Discord approved. Finally Raiden V Director's Cut with its arcade like sounds performed admirably, with solid mix of upbeat electronic music and arcade sound effects accurately recreated throughout. Overall I like the GSP 302’s from Sennheiser. I’ve used their music focused headsets for years and have always been satisfied, so it shouldn’t surprise me that they can make a decent gaming headset to boot. You can grab a pair of GSP 300's direct from Sennheiser and get an included headset hook for free. Page created in 0.8925 seconds.